At the forex market, the rupee opened lower at 70.30 and fell further to touch a low of 70.40 a dollar, down 22 paise over its previous closing. 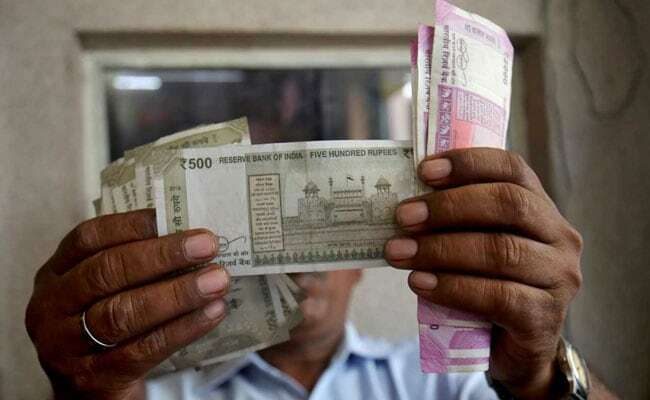 On Wednesday, the rupee had depreciated 75 paise to 70.18 against the American currency. The rupee on Thursday slumped 22 paise to 70.40 against the US dollar amid strengthening greenback and sustained foreign fund outflows. Forex traders said the dollar strengthening against major global currencies overseas and fall in domestic equities dragged down the local unit, while falling crude oil prices capped rupee's losses. At the Interbank Foreign Exchange (forex) market, the rupee opened lower at 70.30 and fell further to touch a low of 70.40 a dollar, down 22 paise over its previous closing. Brent crude, the global benchmark, was trading lower at 54.44 per barrel, lower by 0.86 per cent. Meanwhile, foreign funds pulled out Rs 621.06 crore from the capital markets on a net basis, while domestic institutional investors sold shares worth Rs 226.18 crore Wednesday, provisional data showed. The 30-share BSE index was trading lower by 84.30 points, or 0.23 per cent, at 35,807.22. Similarly, the broader NSE Nifty was trading down 34 points, or 0.32 per cent, at 10,758.50.